Osborne Estates are delighted to present to the market this three bedroom semi-detached property situated in Porth. The property is close to local shops and amenities. Ideally suited to first time buyers, the property offers accommodation including entrance porch, sitting room, lounge and kitchen to the first floor and three bedroom and bathroom. The property has side access. Osborne Estates is pleased to offer for sale this three bedroom semi detached property. This property offers spacious family accommodation which include reception room, kitchen/dinner, bathroom, three bedrooms and rear garden with parking and open views. Situated in with excellent road links to junction 34 of the M4 corridor. Osborne Estates are delighted to offer to the market this three bedroom property located in a very popular location in Tonyrefail with good access to all local amenities and transport links. The property is recently renovated and modernised to a high standard and comprises of lounges, dinning room, kitchen, three bedrooms and a family bathroom. Side access. ****SEMI DETACHED****THREE BEDROOMS****FIRST FLOOR BATHROOM ***DOWNSTAIRS W.C.***Osborne Estates agents are pleased to offer for sale this extensively renovated three bedroom family home Situated in the village of Gilfach Goch offering rural countryside views and excellent commuter links via A4119 access road to junction 34 of the M4 corridor This accommodation comes offering a through lounge, kitchen, inner lobby leading to W.C.. To the first floor there are three bedrooms and the family bathroom. The rear of the property offers outer building and countryside views. Osborne Estates are pleased to have for sale this three bedroom property situated in Treorchy, close to the town centre located in a side street location with all schools, amenities and commuter links within close proximity. This mid terraced three bedroom property, comprises of a ground floor with a lounge that leads on to a kitchen/diner and a family bathroom. On the first floor are three bedrooms. Access to the garden is gained via French doors, that lead on to the deck area and garage. ** NO CHAIN** Osborne Estates are pleased to offer to the market this three-bedroom detached bungalow with panoramic views to the front. Offering ample space throughout. Situated in a residential location and within a mile of most local amenities to include the train station. ** NO CHAIN** Osborne Estates are pleased to offer to the market this two bedroom semi detached bungalow with panoramic views to the rear. It also comprises of well established gardens. Situated in a residential location and within a mile of most local amenities to include the train station. To appreciate this attractive property, an internal viewing is highly recommended. Osborne Estates are delighted to present to the market this well presented terrace house with massively sought after off road parking for one vehicle and full width conservatory to rear. The accommodation comprises entrance porch, hallway, lounge/diner, kitchen, bathroom and the aforementioned three bedrooms. The rear garden offers a full width raised decked terrace and lawn screened for privacy by mature shrubs and tree. Close to local amenities, Supermarket and good transport links to Pontypridd & Cardiff. The property comprises of lounge, kitchen and cloak room. Two bedrooms, en suite to the master bedroom and family bathroom to second floor. The property benefits from a usable attic space. The property has rear access to the back lane with hard stand. Viewing highly recommended. This property has been extensively renovated. Ideal 1st buyer. ***Osborne Estates*** are pleased to offer to for sale this three bedroom property with attic space. The property is situated in Trealaw close to all local amenities to include road links bus routes and train station. The property accommodation include lounge and kitchen/Dinner to the first floor and three bedrooms, family bathroom and attic space. The property has rear access with open views to the rear. ** Offers Considered** Situated in one of the most sought after side street locations in the Village of Ton Pentre, this property has been renovated and modernised with the added bonus off a solid block outer building currently used for family entertaining ***this is a must be seen*** comes with log burner, bar, seating for approximately 25 people, fridge, lasers and led lighting glass storage and most fixtures and fittings will remain. The property is within close proximity of shops, and access to Schools and all bus, road and rail links to the major towns and cities. This property offers excellent family sized accommodation now being a three bedroom property. This accommodation benefits from UPVC double glazing, gas central heating, new plastered walls. The property offers a garden to the rear with unspoilt views, and good rear access. An early internal inspection is most highly recommended as seldom property become available in this area. ** NO CHAIN** Osborne Estates are pleased to offer to the market this three bedroom semi-detached property with panoramic views to the front. Offering ample space throughout. Situated in a residential location and within a mile of most local amenities to include the train station. Osborne Estates is pleased to offer this well presented three Bedroom terraced property located in a popular side street residential location in Coed Ely Tonyrefail. The property itself is close to local amenities such as a primary school, shops and bus links. It's also within a short drive to the village of Tonyrefail and Talbot Green which offers a retail park plus good road links to junction 34 of the M4. This property has spacious family accommodation in addition the property has privately owned solar panels that return approximately £1,500 per annum (as informed by vendor) there is a beautifully flat rear garden leading to a double Garage with power / electric roller shutter doors with good easy lane access to the Rear. Osborne Estates are delighted to offer to the market this three bedroom property located in a very popular location in Tonyrefail with good access to all local amenities and transport links. The property comprises Lounge, Kitchen/diner, utility room, ground floor wet room. To 1st floor, family bathroom and three bedroom with walk in shower to master bedroom. Osborne Estates agents presents for sale This spacious detached Family Home benefiting from Two Reception Rooms, Kitchen/Diner, Modern Family Bathroom & good size rear garden & is located on the main High Street in Tonyrefail close to amenities, shops, schools & transport services. Comprising of Entrance hallway, living room leading to inner hallway which provides access to a kitchen/diner with door opening to the rear garden. To the first floor there are three double bedrooms plus a modern family bathroom. A delightful two bedroom semi detached house. Useful attic space with fixed stairs, modern kitchen, property has been finished to a high standard. In a highly desirable location, must be seen to be appreciated. *Lounge*Fitted Kitchen/Breakfast Room*first floor family Bathroom* Gas CH* uPVC double glazing. Situated in a very sought after residential development in the heart of Mount Pleasant, close to local schools, shops, and facilities. Town Centre in Porth nearby and the A4058 leading to Pontypridd within close proximity, this is a stylish two bedroom semi detached dwelling. The property has an attractive forecourt approach and a well kept terraced rear garden with patio and BBQ area. This contemporary property has been finished to a high specification and can only be appreciated by an early inspection which is highly recommended. ****Osborne Estates**** are pleased to offer to the market this two bedroom property with panoramic views to the front. Offering ample space throughout. Situated in a residential location and within a mile of most local amenities to include the train station. Osborne Estates are pleased to offer for sale this three bedroom property situated in a convenient and pleasant sought after side street location. Ely Street is located offering immediate access to main services, facilities and with access to schools at all levels including the new super school at Tonypandy. It offers easy access to road links, A4119 link road to M4 corridor. Rail and bus connections are also in Tonypandy. This property really must be viewed to be fully appreciated. Briefly comprising entrance hallway, through Lounge, kitchen/dinner and utility room. First floor Landing leading to three Bedrooms, bathroom and access to the attic space. Garden and hard stand to rear. ***END TERRACE FORMERLY TWO HOUSES*** Situated in a popular, convenient side street location, of Clydach Vale Tonypandy is this a deceptively spacious four bedroom, end terraced property with an additional loft storage, offering substantial family sized accommodation. The property offers immediate access to services, and is within easy access to the link road for the A4119, to the M4 corridor. It is close to rail and bus connections, shops, public houses. Parking is no issue as there is parking to the rear. The property offers loft storage with fixed stairs and benefits from PVCU double glazing and gas central heating. Osborne Estates is pleased to offer for this attractive semi detached property situated in the village of Tonyrefail with utility room cloaks and three bedrooms larger than average rear garden leading to gated off road parking. Good access to all local amenities including schools and road links. This property offers spacious family accommodation to appreciate the size of this immaculate property an internal inspection is highly recommended. Osborne Estates are pleased to offer for sale this extensively renovated and modernised three bedroom mid-terraced property situated in a sought after location in Treherbert. Easy access to all services, amenities and facilities. The property has been extensively refurbished, with a double extension, the property benefits from having sky connections and CCTV to the front and rear of the property. Work has been carried out by a local builder who's work is highly regarded. The front of the property affords PVCU sash windows. The rest of the property is double glazed throughout, full gas central heating with new combi boiler which comes with five year warranty. Two tone fitted kitchen with new integrated appliances. This property must be viewed to be fully appreciated. Additional features could be available subject to an internal inspection. It briefly comprises entrance Hallway, spacious Lounge, Kitchen/Diner, first floor landing, three bedrooms, family bathroom. Garden to rear with hard stand with double metal gates. A unique opportunity to purchase this bespoke three bedroom semi detached bungalow situated in the popular location of Gelli, which is within close proximity to local amenities, major road networks and rail links. The accommodation briefly comprises: entrance hallway, wet room, lounge, kitchen, utility room, family bathroom and three bedrooms. Other features include gas central heating, double glazing, parking to side and rear courtyard !!! MUST BE VIEWED TO FULLY APPRECIATE. Osborne Estates is pleased to offer for sale this four bedroom, semi detached property with first floor bathroom and double garage to rear located in the sought after location of Aldergrove Road, Porth close to local amenities and transport links including rail station. The property comprises of, hallway, through open plan lounge, kitchen/diner. To the first floor, Four bedrooms and family bathroom. Front and rear gardens with side access. A superb three bedroom semi detached family home set in a desirable in a sought after location with easy access to all local amenities to include schools and transport links. This property is presented to the high standard and is a quality home which must be seen to be appreciated. Immaculate three bedroom end terraced family home with parking situated on this former Redrow development. Only a short distance from the local amenities and road links A4119 to Talbot Green with a wider variety of amenities including Talbot Green retail park together with J34 of the M4 motorway. This home really must be viewed to be fully appreciated. Osborne Estate Agents are delighted to bring to the market this immaculate three bedroom semi detached linked by garage family home situated on this popular development and being only a short distance from local amenities, and the A4119 Tonyrefail link road making this property within easy reach with great links into Talbot Green and M4 motorway. £111,965 70% OWNERSHIP UNDER THE WELSH HELP TO BUY SCHEME FOR 1ST BUYERS / 30% OWNERSHIP RCT COUNCIL. Osborne Estate Agents are pleased to present to market a 3 bedroom semi detached family home in the sought after location of Gilfach Goch. Set on a generous plot with views across from the property and off road parking. This property has plenty of family living space. The property benefits from a hallway, family bathroom open plan lounge / kitchen diner with doors to Juliet balcony. . Three bedrooms that are of a good size with the master featuring dressing room and wc., bedroom two has a Jack and Jill shared with reception room two. This property is ideally located for local amenities and main road links. Viewing of this substantial property is highly recommended to fully appreciate. Osborne Estates are pleased to offer for sale this extensively renovated and modernised three bedroom mid-terraced property situated in sought after location of Tonypandy. Easy access to all services, amenities and facilities. The property has been extensively refurbished. with a double extension work has been carried out by local builder who's work is highly regarded. To the front of the property afford PVCu sash windows, and double glazed throughout, full gas central heating with new combi boiler which comes with five year warranty. Two tone fitted kitchen with new integrated appliances. This property must be viewed to be fully appreciated. Additional features could be available subject to an internal inspection. It briefly comprises entrance Hallway, spacious Lounge, Kitchen/Diner, cloaks WC, first floor landing, three bedrooms one with En-suite, family bathroom. Garden to rear. Detached garage with lane access. ** NO CHAN** Osborne Estates are pleased to offer to the market this four bedroom detached bungalow with panoramic views to the rear. It also comprises of well established gardens and detached garage . Situated in a residential location and within a mile of most local amenities to include the train station. To appreciate this attractive property, an internal viewing is highly recommended. This property has a forecourt approach with single bay and has off road parking to the rear, affords gas central heating and has the added benefit of uPVC double glazing. ***COMING SOON***Osborne Estates are pleased to offer this rare opportunity to acquire this larger than average just refurbished family property located in a residential location of Treorchy. Viewing is highly recommended as interest in this four bedroom property is expected to be high! Osborne Estate Agents are pleased to market this modern detached individually designed family home, offering fantastic living accommodation. Beautifully presented and finished to a very high standard. The accommodation comprises, to the ground floor lounge , kitchen and family bathroom. Whilst to the first floor there are three bedrooms with en suite bathroom on to the master bedroom, allowing access to balcony with panoramic view for two of the bedrooms. Other features include two outer building with a side and rear access. Osborne Estates are pleased to offer for sale this fantastic family size semi detached property in Cemetry Road Porth. The property comprises; lounge, fitted kitchen, utility, three bedrooms, bathroom and attic room. To the rear of the property is a detached garage with games room under. We highly recommend a viewing to appreciate all the property has to offer. Osborne Estates are pleased to offer for sale, these enclosed and cleared plots of land with the benefit of planning permission for the construction of 4 detached bungalows. 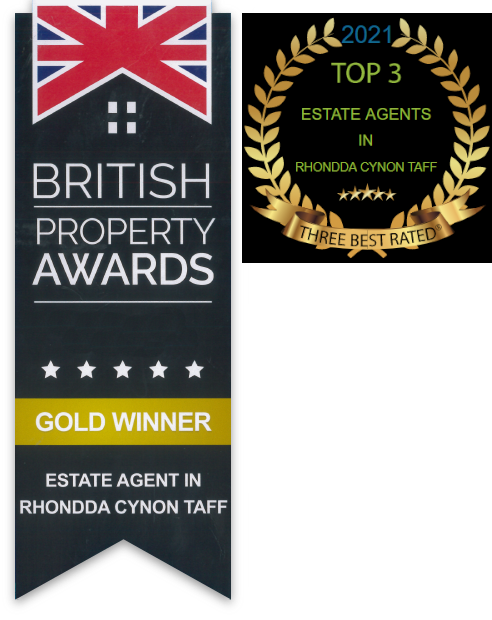 Anyone proposing to view the site should contact our Tonypandy office first. scale copies of plans can be obtained from our office on request. ****NO CHAIN****Osborne Estate Agents are pleased to present to market a 4 bedroom detached family home in the sought after location of Llewellyns view, Gilfach Goch. Set on a generous plot with electric in the garage and off road parking with open county side views to rear. This property has plenty of family living space. The property benefits from a open plan lounge with French doors to garden. Kitchen / diner with French doors to garden, sitting room, utility, entrance hallway and cloakroom . four double bedrooms with the master to en suite. Outside, the property, there is well maintained mature garden with side entrance. The rear garden has open views of surrounding country side This property is ideally located for local amenities and good road links to A4119 leading to junction 34 of M4 motorway . Viewing of this substantial property is highly recommended to fully appreciate. Osborne Estates are offering for sale this beautifully presented four double bedroom family property located on the Llewellyns view development in Gilfach Goch offering good road links to the M4 east, and west. The property comprises of a through lounge, dining room, kitchen, utility room, cloakroom and conservatory to the ground floor. To the first floor are four double bedrooms and a family bathroom, with the master room offering an ensuite . Outside is a tiered south westerly facing garden, to the front of the property there is a lawned area and a drive way for mutiable cars leading up to the garage. Osborne Estates is please to offer for sale this well presented detached property comprises of entrance porch, two receptions, kitchen/diner, downstairs w.c. and utility, with four bedrooms, master en-suite and family bathroom on the first floor. To the rear there is an enclosed patio area and decked tiered garden. Driveway provides off road parking to the front of the property for several cars. Osborne Estates are pleased to offer to the market this immaculate presented executive style property in sought after location. This property offers four bedrooms (master en-suite). Driveway providing off road parking. ***Osborne Estate Agents*** are pleased to market this modern semi-detached individually designed family home with driveway, offering fantastic living accommodation. Beautifully presented and finished to high quality contemporary style with ground floor under floor heating. This property must be viewed to appreciate the light airy and well proportioned flexible living and bedroom accommodation. This stunning, immaculate family home is situated within easy reach of village facility and offering countryside views and excellent commuter links via rail, road, and bus routes. The garden offers open views with side access. Osborne Estate Agents are pleased to present this fabulous 5 bedroom family home located in Mount Pleasant Porth. Situated where property seldom becomes available. This 5 bedroom home offers space and versatility throughout and to include a self contained basement on the lower ground floor access via rear garden. Catchment area for both Welsh and English medium schools with great links to Cardiff and the Valleys via train / buses. Osborne Estate Agents are pleased to present this fabulous detached family home located in Glynfach, Porth. Situated within a small cul de sac where property seldom becomes available This bespoke 5 bedroom home offers space and versatility throughout and to include a self contained flat on the lower ground floor, maintained to a very high standard. Boasting both Welsh and English medium schools with great links to Cardiff and the Valleys via the new Porth Park & Ride Development road / buses. A beautifully presented & adaptable 3 bed family home in a sought after location which has been presented to the highest standard and is a quality home which must be seen to be appreciated. ***Osborne Estates***are pleased to offer to the market this immaculate presented executive style property in sought after location. A smartly presented executive style four bedroom detached property with parking. The property is situated with easy having access to the local amenities. The accommodation comprises entrance hall, cloak, lounge, sitting room, kitchen/ diner. To the first floor are four bedrooms (master ensuite) and family bathroom. To the rear of the property is well maintained tiered garden with astroturf area, also a decking sitting area with astroturf updated six months ago. To the front is a driveway providing off road parking. Osborne Estates bring to the market this three bedroom detached house in the quite semi rural location of Glynogwr Blackmill. The property benefits from having a drive front and rear the rear leading to garage, the area is renowned for its views walks and cycle paths. This larger than average family accommodation has three double bedrooms, two bathrooms, two reception rooms, kitchen plus utility and has been newly decorate throughout. PVCu double glazing, oil fired central heating and enclosed rear garden with countryside views. Blackmill has easy road links to Bridgend, M4 corridor, MacArthur Glen designer outlet and well served with shop, post office, petrol station, public house and cafe. From Bridgend town take the Tondu Road to the Aberkenfig roundabout. Take the third exit onto the dual carriageway which will take you up to the Sarn roundabout. Turn left to go into Bryncethin/Brynmenyn, continue along this road heading towards Blackmill. At the traffic lights at Blackmill turn right onto Graig Terrace continue on this road for about a mile and a half, the church is on the right-hand side and the property Maes Y Coed is opposite. The gardens are a perfect size to offer interest and cater for all ages. The driveway provides parking for several cars with addition of the double garage. The landscaped gardens are a perfect size for those who want nothing more to do than potter and relax . The lovingly cared for gardens offer much interest and cater for all ages with lawn, decked patio established planted borders. The driveway provides parking for several cars with additional parking in the integral garage. Two new dwellings are also being built in the cul de sac and work is currently underway for these new houses.